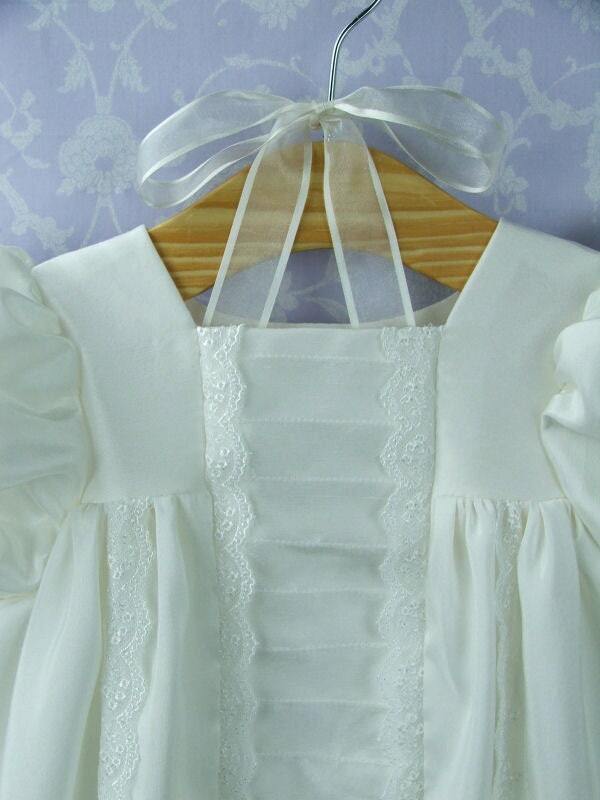 Traditional long Christening/ Baptism gown. This dress has every feature one would want to find in a traditional gown. Ideal for a boy or a girl. Pin tucked front panel runs all the way down the gown from neck line to hem and helps to create the square neckline. Traditional Nottingham lace runs down each side of the panel, additional lace runs a second time down the skirt and around the hem. Simple puffed sleeves allow the details on the skirt and bodice to present themselves to their best. 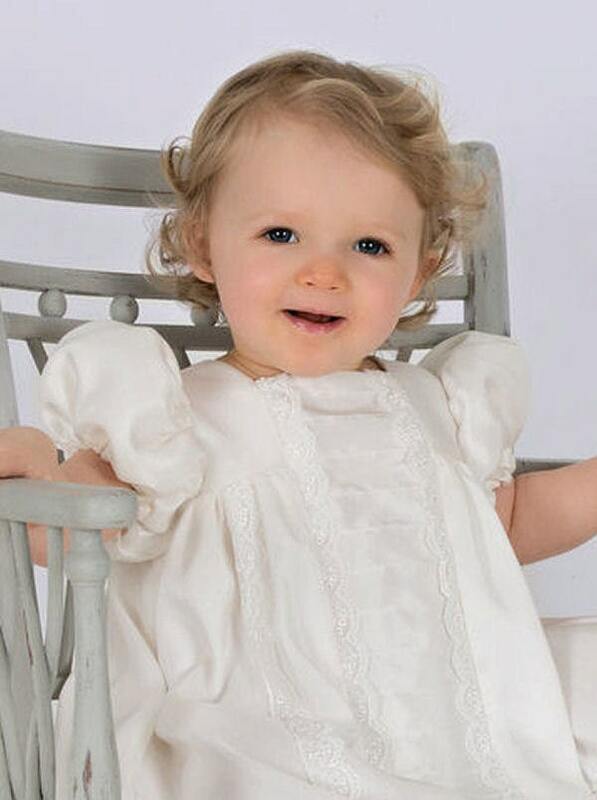 I agree with other reviews--I also looked extensively for an elegant and timeless baptism gown for our daughter. 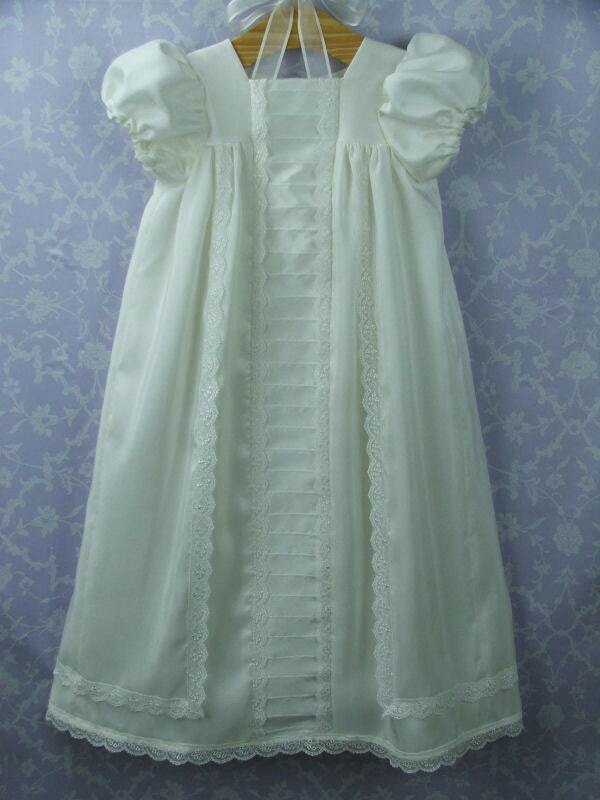 Ordered the gown, matching booties, bloomers and bonnet. All were absolutely gorgeous. 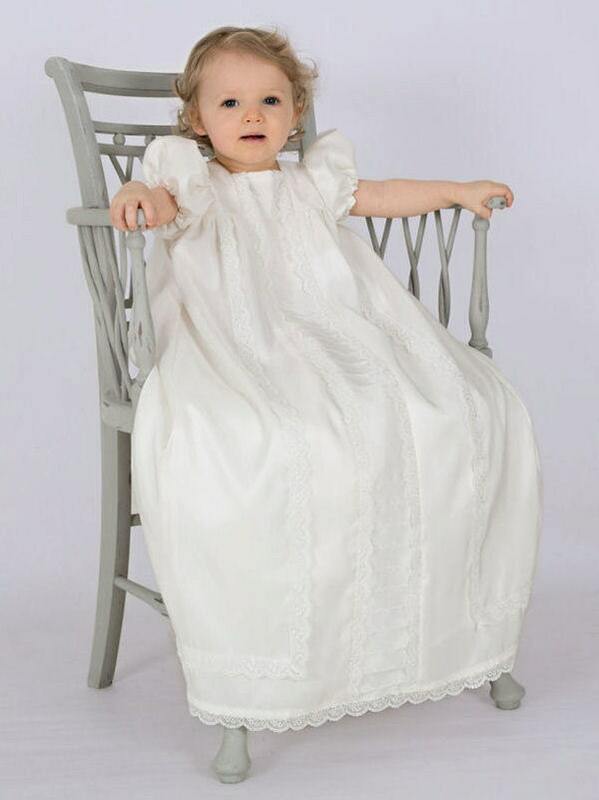 Made of beautiful silk and lovely lace details that make this a truly one-of-a-kind heirloom quality gown. All items were just as described and fit nicely in the arms and laid flat across the chest and back. Additionally, the US Postal Service delayed our package for many weeks and we almost did not receive the gown in time. Rachel answered every inquiry promptly and did everything she could to assist in getting the package to us--thanks Rachel!